LATHAM, N.Y. -- Major General Anthony P. German, the Adjutant General, announces the recent reenlistment of members of the State National Guard in recognition of their continuing commitment to serve community, state and nation as part of the Army National Guard. Specialist Brad Eckert from Henrietta, N.Y. has reenlisted to continue service with the Headquarters and Headquarters Battery, 1-258th Field Artillery. Sergeant Brandon Jones from Stow, N.Y. has reenlisted to continue service with the Company A, 642nd Support Battalion. Staff Sergeant Brian Lucas from South Dayton, N.Y. has reenlisted to continue service with the Company A, 642nd Support Battalion. Corporal Caitlin Fuller from Penfield, N.Y. has reenlisted to continue service with the Company A (Distribution), 427th Brigade Support Battalion. Specialist Cole Soptelean from Brockport, N.Y. has reenlisted to continue service with the Troop A, 2-101 Cavalry (Reconnaissance, Sustainment and Target Acquisition). Staff Sergeant Daniel Washburn from Fairport, N.Y. has reenlisted to continue service with the Company C, 1-171st Aviation Regiment. Sergeant Fan Meng from Amherst, N.Y. has reenlisted to continue service with the Headquarters and Support Company, 42nd Infantry Division. Specialist Kaitlin Resides from Rochester, N.Y. has reenlisted to continue service with the Headquarters and Headquarters Company, 102nd Military Police Battalion. Sergeant Kenneth Flores from Niagara Falls, N.Y. has reenlisted to continue service with the Company E, 1-171st Aviation Regiment. Specialist Larry Kilton from Lackawanna, N.Y. has reenlisted to continue service with the Company A, 642nd Support Battalion. Specialist Marlon Collins from Rochester, N.Y. has reenlisted to continue service with the Company C, 1-171st Aviation Regiment. Staff Sergeant Matthew Goodwin from Dunkirk, N.Y. has reenlisted to continue service with the Company A, 642nd Support Battalion. Sergeant Natanael Perezrodriguez from Rochester, N.Y. has reenlisted to continue service with the Company A (Distribution), 427th Brigade Support Battalion. Staff Sergeant Penny Eddy from Grand Isalnd, N.Y. has reenlisted to continue service with the 105th Military Police Company. Specialist Richard Brunetto from Hamburg, N.Y. has reenlisted to continue service with the 105th Military Police Company. Specialist Rodney Hardrick from Rochester, N.Y. has reenlisted to continue service with the Troop A, 2-101 Cavalry (Reconnaissance, Sustainment and Target Acquisition). "New Yorkers count on our Citizen Soldiers to be ready and be there when disaster strikes," German said. "And our nation counts on our Soldiers when duty calls for overseas service. I congratulate our members for choosing to stay in service and striking that balance between military duties, education or employment commitments and family obligations." "Every one of the men and women serving in our 16,000 strong Army and Air National Guard plays an important role and these Soldiers who continue to reenlist provide experience and continuity for whatever challenges lay ahead for our New York National Guard family." 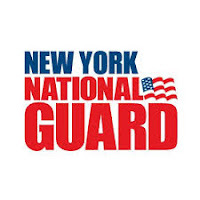 For more information about the New York Army National Guard, visit www.dmna.ny.gov or www.1800goguard.com.